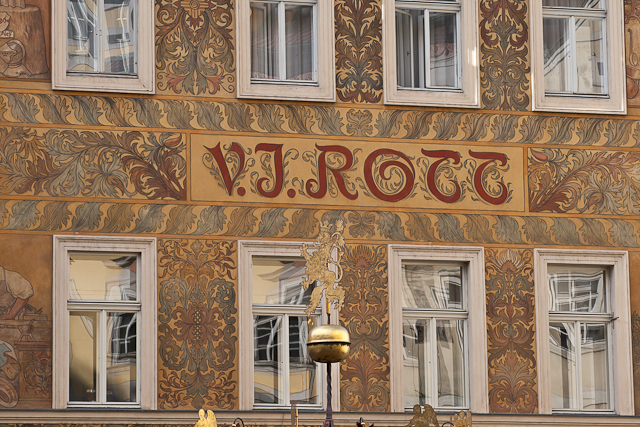 Prague old town: particular of decorated house. Wall in ocher color with four windows reflecting images of buildings on the other side of street. Picture with wide depth of field. On foreground decoration with golden peaks.The decorations have branch shapes.One inscription in the center.